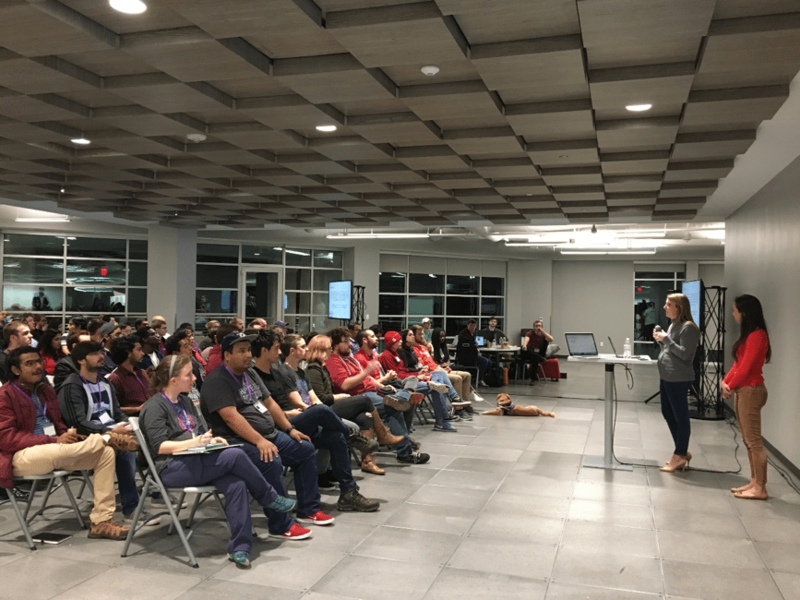 Organized and sponsored by the Analytics & Big Data (ABD) Society, the Queen City Hackathon was held in Charlotte on November 10th and 11th, 2017. Charlotte is a rapidly growing city, and a great place to live in, but like any other city it has its own set of problems. According to a Harvard study, Charlotte ranked 50th among 50 big cities in the United States, for economic mobility. Unless it’s the list of Most Wanted Criminals, it’s never a good thing to be at the bottom… and that’s why the ABD Society was born. Rishi Bhatnagar, CEO of Syntelli Solutions Inc., founded the non-profit entity to address this issue in Charlotte, along with other issues like rising crime rates, catapulting housing prices, rush-hour gridlock, and more. 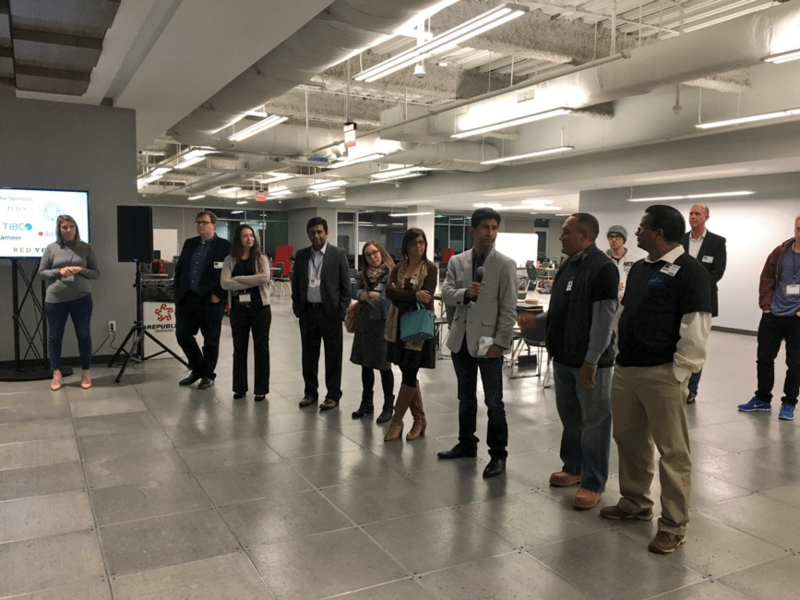 In an effort to make Charlotte an Analytics and Big Data hub through professional development, the ABD Society hosts a variety of educational, informative, and productive, social networking events. One of these was the recent #Hackathon. What do you get when you put hundreds of data nerds into a room, with laptops, datasets, and coffee? You guessed it – a HACKATHON! A blend of the words “Hack” and “Marathon”, the Hackathon is paradise for data scientists, analysts, and engineers or even those looking to explore the tech space. Participants are provided with data pertaining to a specific social cause, and must then use this data and their skills to pick a problem for which they engineer a solution from scratch. 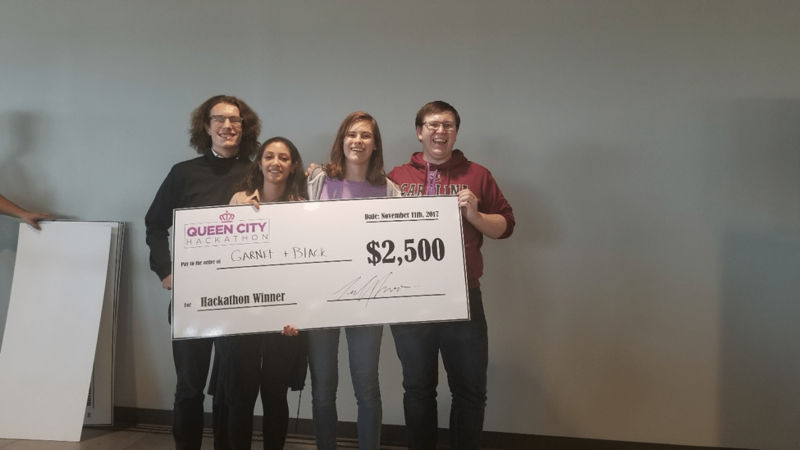 What happened at the Queen City Hackathon? Data Analysis: The Queen City Hackathon focused on a solution for the problems faced by the city of Charlotte, and so participants were provided with data pertaining to Charlotte’s 311 Requests, Traffic Incidents, and Reddit Posts, Charlotte Agenda’s News Articles, Speak Up Magazine Articles, and Cardinal Innovations Healthcare claims. 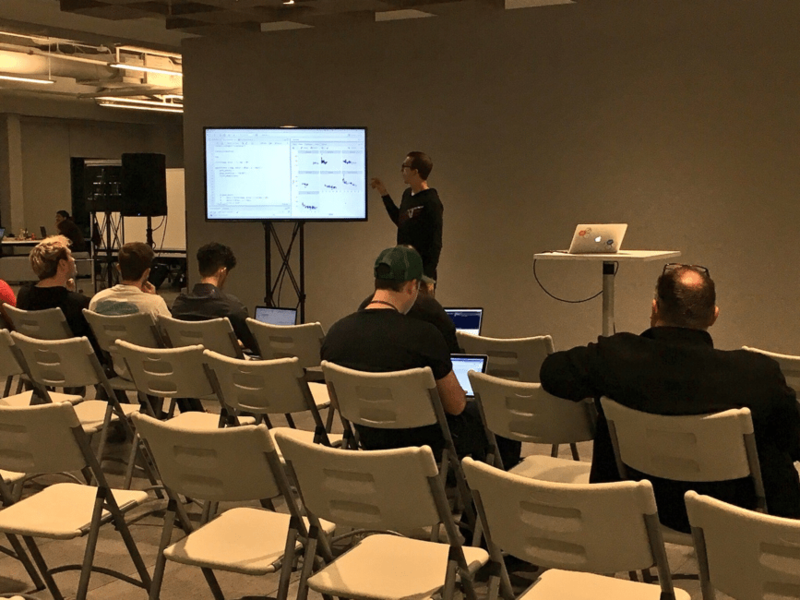 Lectures: The Hackathon also had intro tutorials on R and Machine Learning from experts in the field. Data Science Mentors: Participants had the option to consult Data Science geniuses for guidance on their projects. These mentors comprised of professionals from different industries, who were available round the clock offering their support to teams. 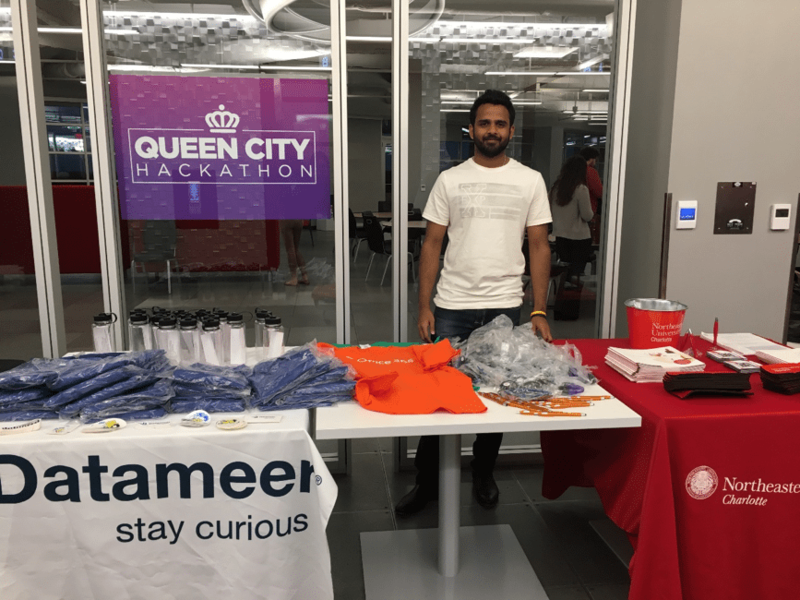 Free Goodies: Sponsors of the QC Hackathon had a whole lot of #swag for all the participants including t-shirts, water bottles, stationery, and more! Food, Coffee, Red Bull & More: There was plenty of fuel for our machines aka data nerds, as they coded and trained models through the night. 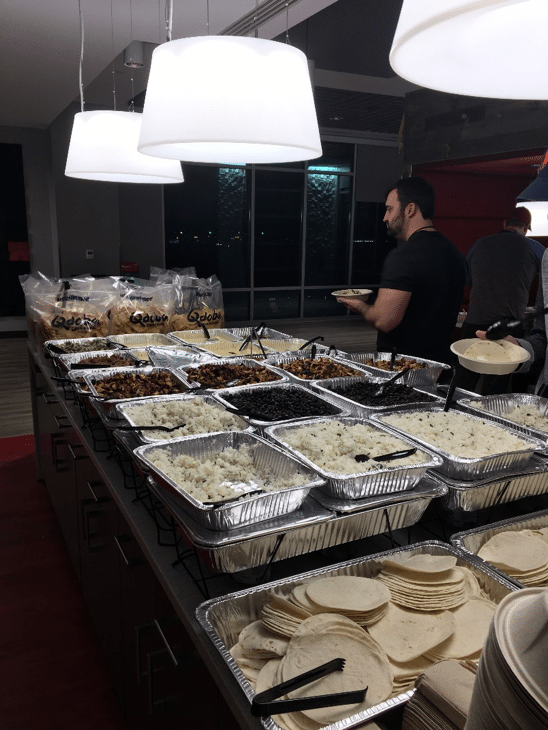 Taco bars, pizza, breakfast sandwiches, cookies, Red Bull, coffee, sparkling water – you name it! 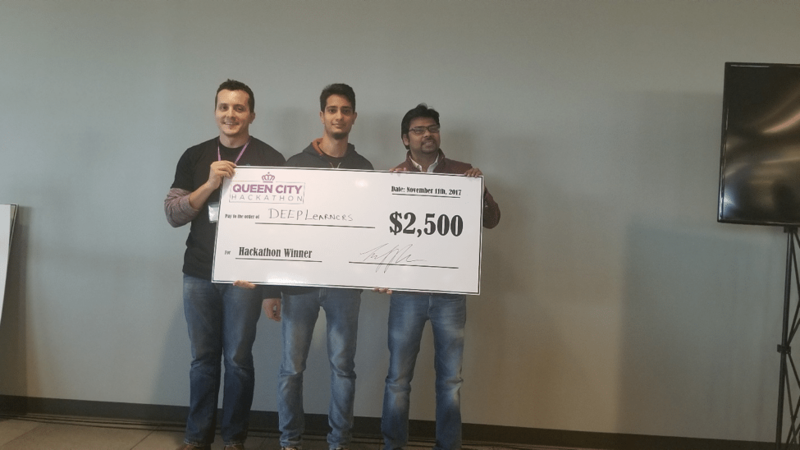 So, Who Won the Queen City Hackathon? 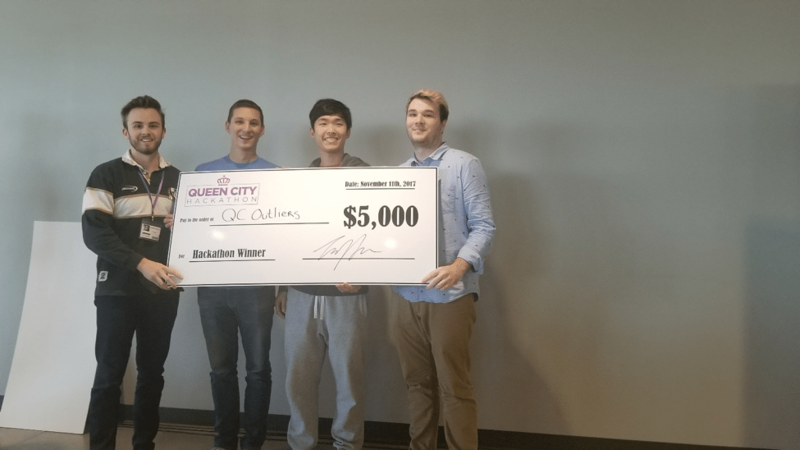 This team used Cardinal Innovations health claims data and created a predictive model to help patients estimate their health care costs prior to visiting the doctor by enhancing transparency. Their goal was to help minimize the fear and uncertainty regarding health care costs amongst patients, that often prevents them from seeking care. 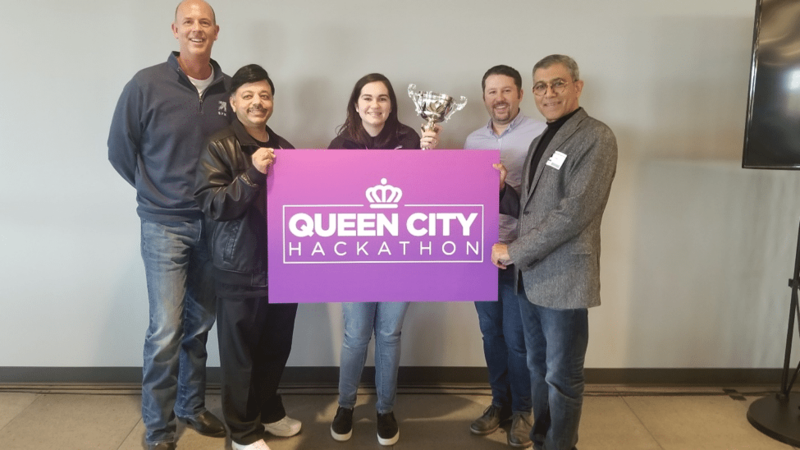 This team used Mecklenburg Quality of Life data, with the mission to address the widely recognized problem of socioeconomic mobility in Charlotte. They designed a humanized and actionable app – Charles – for people to explore how different factors can affect socioeconomic mobility, as well as other factors like income, stability, etc. The app portrayed Charles as a regular citizen of Charlotte. Users could play with different meters and statistics in various counties around the Charlotte-Mecklenburg area to see how his life would change as an outcome. This would then enable users to correlate the effect of these changes on quality of life and socioeconomic mobility. The goal was to encourage users to see the different outcomes and take actions to improve the situation around them. Charity begins at home, and what better way to contribute than using #DataScienceForSocialGood? !